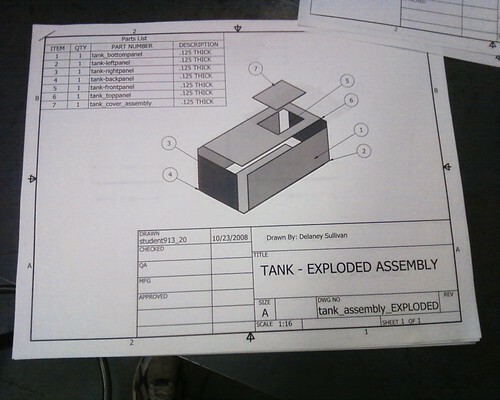 Tank – Exploded Assembly, originally uploaded by somjuan. No video, because there isn’t much tangible to show yet, and I figured it would just be a little weird showing Joe and I walking around real excited-like. Here is a page of the plans for the tank, which is being welded together specially for this project. It’s a nice looking rig, and I should be able to post completed pictures soon.